There are few things more satisfying than getting to the end of a sketchbook… and whilst it took me almost a year to get through this one I am ashamed to say…. the last half of the book went quicker than the first half, so I think my mojo has returned. I have loved working in the Stillman & Birn sketchbooks… the paper is wonderfully heavy and creamy and takes the watercolours wonderfully. So I have decided to stay with them, though I have opted for the ivory paper over the bright white for a bit of a change. A habit I shamelessly copied from Liz Steel is to start each new sketchbook with a colour chart .. in past books I’ve done a straight colour swatch to remind me what I was carrying in my travel palette. This time I opted for a colour mixing chart so that I would have a handy reference of what colours I could mix with the pans I carry… particularly important since I changed the palette up a little this time round. I felt like I needed to reacquaint myself with the colours. The problem was that when I started mixing the paint for the colour chart, it was after work… and I was tired. Actually I lie… the problems started before that. I’m still too tired to figure it out properly, but I think I numbered the axes of the chart incorrectly… I was getting little of no swatches that involved mixing the dark end of the spectrum…and to make matters worse, by the time I was mixing colours 6 and 7, I realised that I had doubled up and done the same set of mixes twice. So I gave up. My sketchbook has a completely useless colour mixing chart to start it off. I am really hoping that this is not a sign of things to come for the rest of the sketchbook!!! ARGH! I think the thing that annoys me most is that I’ve done four or five of these over the years and have not had a problem. Lesson learned… don’t do anything you have to use your brain for after a long day at work and a weights session. Anyway, to end on a high note (sort of) … here’s the colour chart I did of the current travel palette that i will cut out and tuck into the kit. I had some spare reds and purples hanging around, so I decided to slot them in to see what I can do with them. I’m still not a huge fan of the Prussian Blue, and I think I need another green too … something to investigate and experiment with I think. And just for good measure here’s the scanned front page. The botanical letter is something I wanted to have a go at after seeing the tutorial over on The Postman’s Knock. Though this was a lot of fun to do, I think perhaps I’d like to experiment with some Aussie bush wildflowers next time. The chart still looks kind of cool.. but is utterly useless. 🙂 Not that I am particularly perturbed… it is annoying, but at the end of the day I was engrossed in doing something wonderful for a couple of hours. Well worth it. Generally chemist’s shop can offer to you with convenient treatments for divers diseases. There are hundreds of safe internet pharmacies that will process prescriptions. Many medicines are used to treat inability to get an erection. If you are interested in is viagra safe, you perhaps would like to read about is generic viagra safe. Conceivably you know about “where can i buy viagra online safely“. Other question we have to is “is it safe to buy viagra online“. Sexual dysfunction can affect the quality of living. One way to resolution sexual disfunction is to make few foolproof lifestyle changes, another is remedy. As with any bodily activity, a rested body increases performance. Stop using this treatment and get emergency help if you have sudden vision loss. Your letter turned out absolutely beautiful! I’m really glad the botanical letter tutorial inspired you … because you certainly did the concept justice! 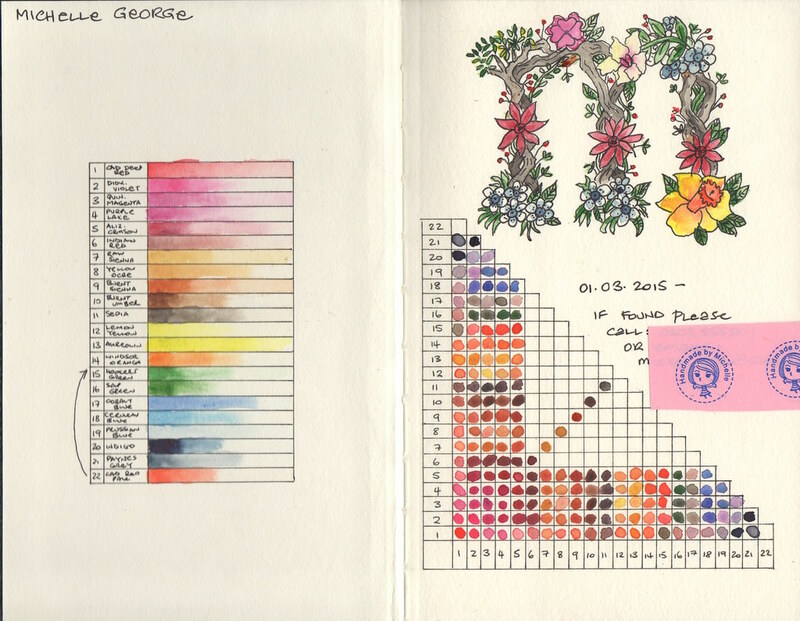 Thank you for your recommendation of sketchbook – and thanks, too, for sharing your frustration. It is part of the journey. Mistakes and resilience and keeping focus on the beauty and learning. I am also amused that you did your botanical letter yesterday – it must have been in the air, because I did one too! Thanks for sharing that tutorial earlier – it was the perfect way to get me into gear after a sluggish weekend. Thanks Lindsey. It was a lot of fun to do and very satisfying. I love your tutorials! Thanks for posting them! Ooh have you posted your botanical letter anywhere?